The nnMoth Minor looks and feels great in the air. It's the ideal lazy flyer. 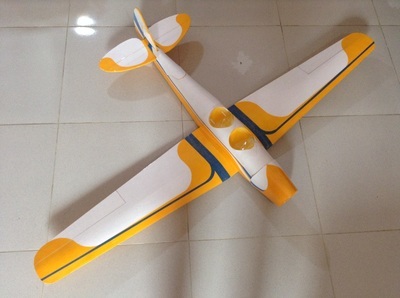 Will this plane work with the standard FT powerpod and electronics? Yes. The Beef package/park 425 or greater will work just fine. I will be testing a few different set ups and will note how each performs. Will the plans be available for free so I can build one too? You list a 2000mah battery in the electronics section, is that the only size that will work? Nope. I've flown my nnMoth Minor with a 1000mah 3S all the way up to a 3700mah 3S with no issues. I'm sure you could fit even more if you wanted. The extra weight even helped keep everything stable in the wind. No landing gear? What gives? I fly in a large grass field and normal sized wheels don't work well. I didn't want to include landing gear that I wouldn't be able to properly test, so for now you'll need to experiment on your own. Can I use a different size motor than what's listed in the specs section? Yes! As a minimum I would not go under 200 watts as you need around 700g of thrust for a decent flight experience. 500 watts is a good ceiling. You list two popsicle sticks in your materials list and I noticed you had some glued to the top of your wing in the maiden video, what am I supposed to do with them? Because of the large wingspan and not having the fuse surrounding the glue joint like a normal wing, it can come out a little bendy without some reinforcement. You can use any material you'd like but popsicle sticks are cheap and light and do the job just fine. For a more clean look you can put the popsicle sticks inside the wing 1) between the spars at the wing joint 2) glued to the side of the spars at the wing joint. This will prevent any unwanted joint flex or wing issues later on. Can I use a smaller prop than 9"? Yes. I have tested an 8" prop with no issues. You could also use a larger prop and have no issues. 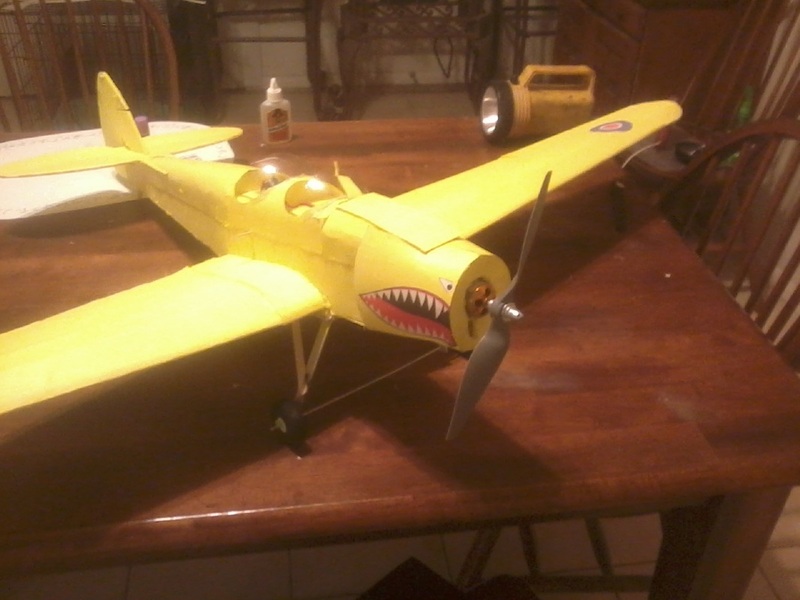 I see that you have pictures that have a nose plate and then some pictures that don't have a nose plate, which is the right way to build the nnMoth Minor? Option 1 - Nose plate comes off and skewers are glued in, you can actually have the poster board nose come off as well. Option 2 - Your skewers stay glued but the nose plate and nose poster are glued together and the whole nose comes off in one piece. Note that option 1 and 2 require prop removal to take the power pod out, or the entire nose plate will have to come off each time you pull your power pod out. Option 3 - If you don't want to remove your prop then you can leave the nose plate and skewers out of the build and have the nose open. You can't go wrong with any option because the design is simple enough that it offers flexibility while still looking great. If I fly straight and flat and just chop the throttle and slowly give full elevator she will slow down and then just start to sink, never dropping a tip. Even as she is falling nearly straight belly down, there is still full aileron control and just a little throttle is all that's needed to pull out. Flying straight up and then killing throttle and letting all controls go neutral she will freeze in place at the moment of stall and then nose dive straight down, slightly leveling off as she gains speed. Slow speed turns do not produce stalls, she will just sink if you aren't going fast enough. 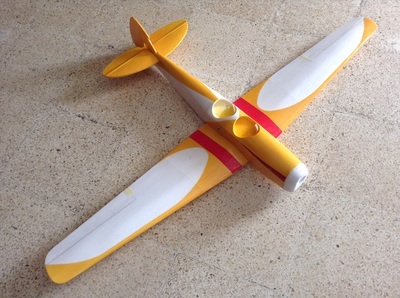 I have flown in 12mph wind with the nnMoth Minor and overall I would say performance is good when you consider the size and weight of the air frame. For her size 690g is not that heavy so side winds don't play well. I never lost control but it can be difficult to track straight without lots of rudder input. Adding a bigger battery helped a lot in this area. Just like the nnBucker, I can throttle up to 50% and just let. Launching is just that easy. Landing is a treat with the nnMoth Minor, if you've flown the FT Spitfire and enjoyed the floatiness that it has then you'll love this bird! She feels light as a feather coming in for landings. Rolls are a little slow which is to be expected but adjusting aileron deflection to your preference can produce whatever result you'd like. Loops are actually pretty quick in the nnMoth Minor. The elevator seems to have good authority over the plane. Inverted feels good. You'll need full stick but she's very stable upside down. Knife edges are not good. She wants to roll back over, I had a tough time holding a good clean edge. Stall turns are beautiful and slow. The floatiness really helps here. The nnMoth Minor has a great glide slope and is much better than the nnBucker in this area. A+. I can fly around with barely any throttle and she still feels stable. You'll need decent amount of elevator deflection if you want to push the slow speed envelop, but she does very well. The nnMoth Minor looks great in the air and feels great too. 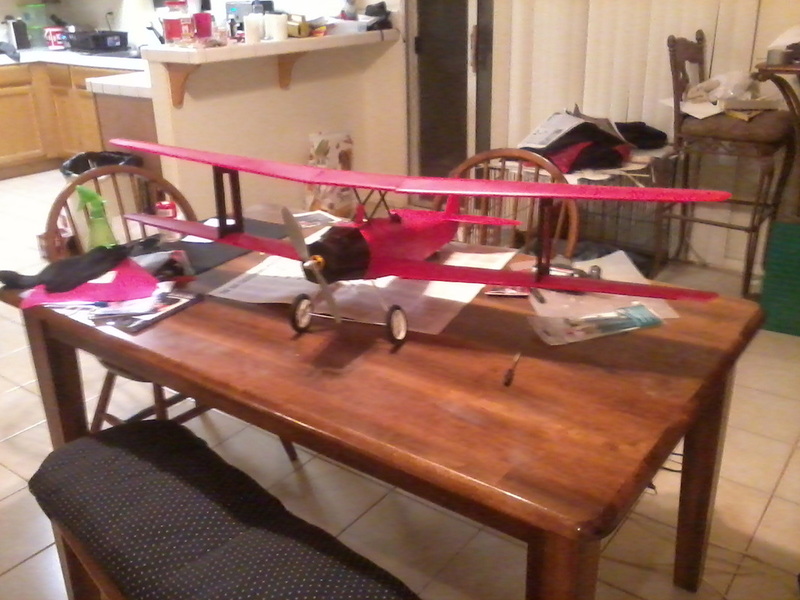 It doesn't have any clunky characteristics and overall is a fun plane to fly. The only special instructions I will give you is to not set your rudder with very much throw at first. It has a lot of authority and can cause weird behavior if set too high. Thanks for checking out the nnMoth Minor! Please leave a comment with your thoughts or questions; I'd love to hear from you! 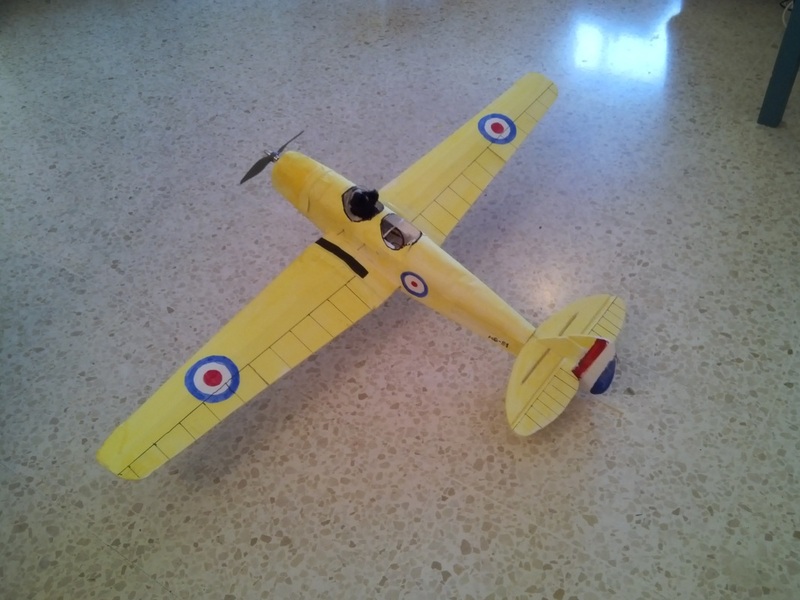 If you built a nnMoth Minor and enjoyed it please consider donating a few bucks so I can buy more supplies to make more great planes.